Allison K. Sommer, a journalist for the left-wing Israeli daily newspaper Ha’aretz, tweeted Sunday that AIPAC’s panel on press freedom — on which she spoke — was closed to the media. She added the hashtag: “#irony”. 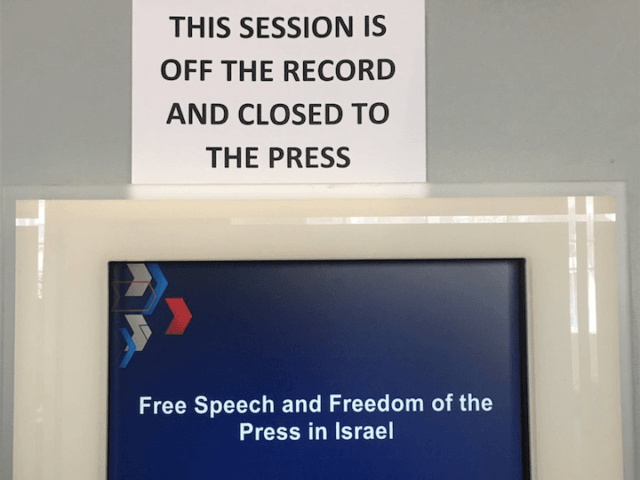 We do not understand why @AIPAC restricts the media from many sessions. If anything, allow the Israeli press which has more security clearance than those who work at #AIPAC2018. We serve in #IDF, consult the government. AIPAC has a long history of being wary of, and less than friendly toward, the press. Members of the media enter the AIPAC convention through a separate entrance and must be accompanied by staff to proceed to the main area where sessions are held — and, at times, even accompanied to the rest rooms. Such treatment doesn’t foster trust and mutual respect. AIPAC officials say the press is overly critical in its coverage of the lobby; maybe there’s a reason that goes beyond political ideology. Trying a more open approach could help. AIPAC’s treatment of the media was even more ironic, given that the organization seemed eager to use this year’s conference to appeal specifically to “progressives,” as Democrat support for Israel continues to wane. The progressive narrative for Israel is just as compelling and critical as the conservative one … There are very real forces trying to pull you out of this hall and out of this movement and we cannot let that happen — we will not let that happen! 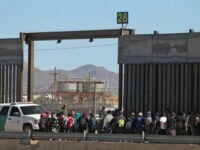 People are angry and hurting and frustrated and fed up … There’s an impulse to walk away from politics to retreat to partisan corners and to demonize the other side. We cannot let those impulses win the day. AIPAC could not be reached for comment, despite attempts by Breitbart News to reach a media spokesperson.